Otter predation continues to be an ongoing problem for fisheries up and down the country. 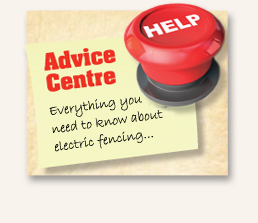 Current recommendations for fencing can prove costly, but is there a viable alternative? 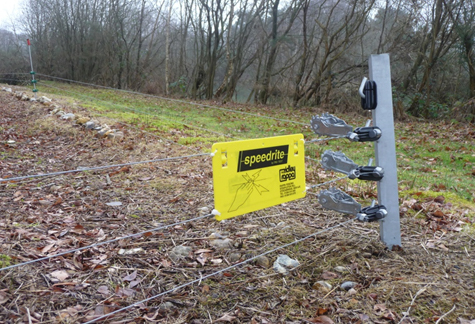 Click here to view our Otter Fencing product range. Natural and progressive are words often used to describe Tim Whites’ farming style. Tim, a grazier based in Salisbury, Wiltshire, owns 900 ewes which are spread across southern England. Tim is a farmer that enjoys a challenge, he breeds wool shedding Exlana sheep and aims to breed worm resistant lambs. His latest project will prove just as interesting; “I am currently conducting research into how rotational grazing can improve soil and reduce the spread of Black Grass. In order to do this I have taken on some arable land and all the problems associated, which means without a sheep friendly infrastructure I have to set up and take down all the fencing myself which is a lot easier with the ATV Winder. 600 ewes, 200 acres split into 5 acre paddocks. Add in a beef herd and it starts to sound like an algebra equation that doesn’t add up however, this is reality for Staffordshire based sheep farmer James.“I run a progressive sheep and beef business. Fencing can take up a large portion of the job. My business relies on keeping my overheads low and one of the biggest costs is labour”. “It’s a fine balance, as my business grows we see an increase in work. There are only so many hours in a day so this means we have to take on more staff which in turn increases our overheads”. James recently purchased a Rappa ATV Winder and hasn’t looked back since. “I was looking for something that could give me back some time and ultimately allow me to do more and keep our overheads low. 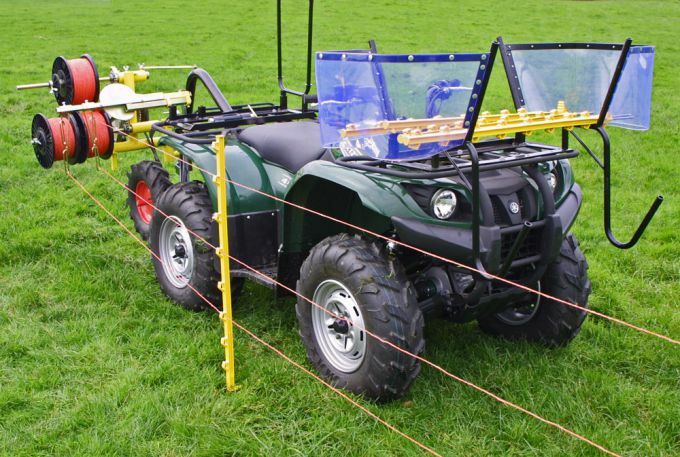 Having the winder allows me to do all the fencing on my own quickly leaving me to get on with other tasks”. James uses his winder on a weekly basis and expects it to have paid for itself within 3 months due to the labour savings. He ends by saying “Having used a winder I will never go back to a hand reel system again!”.